Dr. Navickas was elected Director of the National Partnership in December 2011. Tom began his career after high school with the Chicago Police Department as a Police Cadet and then as a Police Officer working in high crime areas with particular emphasis in gang crimes receiving awards for felony arrests. Tom completed his education part time as a police cadet and officer earning his undergraduate in Business from DePaul University and a CPA. After seven years with the CPD Tom’s career moved into private enterprise completing a 25 year career with Motorola Inc. serving as the CFO for Motorola University and as a Chief Learning Officer during which time his organization received the Motorola President’s award for Quality. During his time with Motorola, Tom earned his MBA in Finance and Doctorate in Organizational Development (OD). Upon his retirement from Motorola Tom taught Human Resource Accounting and Service Management as an associate professor, Master’s level, at Benedictine University, Lisle, Illinois. Tom also has experience as an on-line instructor for Training and Education curriculum courses through DeVry University’s Keller Graduate School of Business. Tom’s current objective is to create educational opportunities for our nation’s youth in the career fields supported by the National Partnership. Tom’s memberships and experiences include Junior Achievement teacher 7th – 10th grade, “Project Business”, Director Motorola Student Summer Camp 7th – 10th grade, Chicago Area Lay movement tutoring underprivileged students 5th through 8th grade, American Society of Training and Development (ASTD), American Institute of Certified Public Accountancy (AICPA), Academy of Management, the OD (organizational development) institute, prior board member with the Motorola Employee Credit Union, ASTD Austin, Texas, and member in the OD Network. 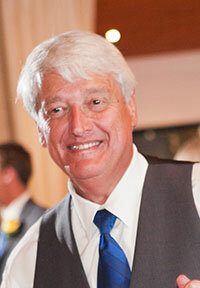 Tom currently resides in Austin, Texas with his wife Betsy RN where both their adult children and grandchildren reside. William M. Overby, a native Washingtonian, was raised at Deer Lake in northeastern Washington. After earning a Bachelor of Arts degree in Park Administration from Washington State University in 1972, Bill began a career spanning over 32 years with Washington State Parks, serving throughout the state. It was while managing the Deception Pass area that Bill began an association with Skagit Valley College as an instructor in its Parks Resources Management and the Criminal Justice programs. Involved with park ranger training since 1985, Bill has been a lead instructor or academy director for the past 27 years at Skagit Valley, and as a training instructor for many years with State Parks. The federally-accredited program he manages for the National Park Service is one of only seven in the United States. His service was recognized by being named the winner of the prestigious 2007 President’s Award by the Washington Recreation and Park Association. Retiring from State Parks in July 2003, Bill was hired by Skagit Valley College to lead the Criminal Justice Program and Academies. Eager to improve his knowledge, he returned to school and completed his Masters in Criminal Justice from Boston University in 2009. 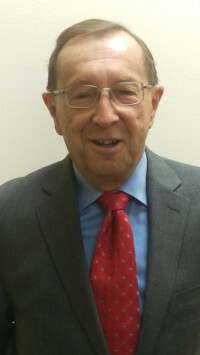 As a faculty member, Bill instructs courses in multiple subject matter areas, and has also studied policing strategies and techniques in England, Northern Ireland, Australia, Vietnam and Canada. Aspiring to assist youth and entry level applicants achieve their career entry goals, Bill was attracted to the National Partnership for Careers in Law, Public Safety, Corrections and Security. He believes that the linkages with the public safety career pathways can be best achieved through exploration of students at the middle school, secondary and post-secondary levels, along with magnet schools, public safety career academies, and Explorer Programs, to name a few. As the Director of Security Services for Community College District #4, serving Skagit Valley College's campuses and centers in Skagit, Island and San Juan Counties, he was elected to a five-year term as the charter Chair of the Washington State Safety, Security and Emergency Management Council, a subsidiary of the Washington State Board of Community and Technical Colleges. Bill served as the Law and Justice Day Chair for Leadership Skagit, as Charter Chair for the Washington State Park Rangers Association, and as Chair of the Island County Emergency Services and Trauma Care Council. He was also elected in January 2017 to serve on the Board of Directors for Boys and Girls Club of Skagit County, and is also an Advisory Board Member for McGraw-Hill Publishing Company, in the area of Terrorism and Homeland Security. Bill and his wife Tee live on Camano Island and have five grown children and twelve grandchildren. Donald holds a Bachelors of Science degree from the University of Delaware and a J.D. from Delaware Law School. A lifelong volunteer firefighter/EMT he worked for a national insurance company as an accident/arson investigator. He served on the Pennsylvania Insurance Federations Arson Task Force, the Attorney Advisory Committee of the International Association of Arson Investigators and the PA Governor’s Arson Task Force , which produced the report “Pennsylvania Burning”. He joined the Environmental Claims Unit of INA handling Superfund investigations and litigation. Moving to the District of Columbia he practiced law in the District of Columbia with Leonard, Ralston, Stanton and Danks, specializing in white collar criminal defense. He returned to New Jersey to serve as General Counsel for National Foam, an international manufacturer of firefighting chemicals and equipment. For the last 10 years he has been the Law Enforcement and Public Safety Instructor at the Salem County Career and Technical High School. During his tenure he has represented New Jersey on the national Common Career Technical Core Initiative for the Law, Public Safety, Security and Corrections cluster, which produced the 21 Century Skills profile, the Key Knowledge Statements and the Career Pathway Standards for the Cluster. He currently serves on the New Jersey Dept. of Education Advisory Committee for the LPSCS Cluster and the New Jersey Education Association’s CTE Committee. Don is an avid horseman and polo player. He and his wife Sarah reside on a working farm in Salem County, New Jersey. Mr. Peterson is the founder and President of Innovative Protection Solutions (IPS), an independent consulting practice providing services in the areas of risk management, security assessments,program evaluation, information assets protection and security training & education. His prior experience spans the military, defense contracting and commercial sectors. While on active military duty, his career focused largely on counterintelligence support as both an analyst and Special Agent with the Air Force Office of Special Investigations. He was instrumental in Defense Department efforts to identify and manage risks to militarily critical technologies and advanced systems. 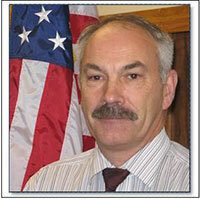 In Europe, Kevin lead Executive Protection operations and managed the European Terrorism Analysis Center. He subsequently served as Director of the Criminal Investigations Unit supporting the Air Force Flight Test Center and Edwards Air Force Base. In his later work at the Air Force’s Investigative Operations Center, he forged efforts to incorporate crime trend analysis and criminal intelligence analysis into investigative methodologies. While there he also conducted research on Workplace Violence as it related to the military community. Following his military career, Kevin worked in the defense industry and commercial sector providing leadership in specialized security services including Information Assurance, Critical Infrastructure Protection, and Security Risk Management for advanced Research and Development projects. He established IPS as a full-time consulting practice in June 2000 and serves both government and private sector clients. Kevin is a Certified Protection Professional (CPP) and developed and delivered certification review courses in both classroom and distance learning settings. He is also a Certified Protection Officer Instructor (CPOI) and Certified Institutional Protection Manager (CIPM level II). An active volunteer leader in ASIS International, Kevin has served as a Chapter Chairman, Regional Vice President and Council Chair. He is the immediate past Chairman of the Information Assets Protection Council, and is past Chair of the Council on Academic & Training Programs. Previously, he served on the Board of Directors of the OPSEC Professionals Society (OPS)and led their professional standards committee. Kevin is also active in the International Foundation for Protection Officers (IFPO) and International Foundation for Cultural Property Protection (IFCPP). As a contributing author, Kevin provided input to several books including Protection of Assets (ASIS), the Professional Investigators Manual (ASIS), The Professional Protection Officer (Elsevier), and Security Supervision and Management (Elsevier). 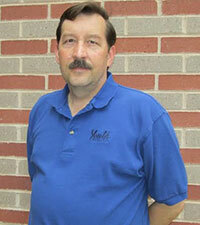 Most recently he served as co-editor for Physical Security Principles (ASIS). Kevin holds a baccalaureate degree in Engineering, a masters in Systems Management, and has completed post-graduate work in Information Security Management at The George Washington University. He is an adjunct professor of Business & Organizational Security Management at Webster University’s National Capital Region and also teaches online for the University of Denver University College in their graduate-level Organizational Security Management program. Ted has been in public accounting since 1968, two years part time while in school, two years split between audit and tax, and the last forty-two years strictly tax. Prior to the time of founding Dauby O'Connor & Zaleski, all his experience was with medium size national CPA firms; S.D. Leidesdorf & Co. (merged with Ernst & Young) and Laventhol & Horwath in Chicago and Indianapolis. The last four and one-half years at Laventhol & Horwath were in Indianapolis as head of the tax department. His experience has encompassed every area of taxation with an emphasis on real estate in Chicago and Indianapolis, both with very small clients and large clients with receipts approaching $100,000,000, including multi-state work in all industries. He has also worked extensively with individuals, partnerships, trusts and exempt organizations, and he was part of the National Health Care Tax Specialist Team at Laventhol & Horwath. Ted had responsibility for the tax related work on many large audits and several publicly traded clients and had involvement with taxing authorities from office audit agents to regional counsel on matters related to tax court cases. His responsibilities include extensive work with syndications. He also had involvement with training programs on a local and national level and has written articles for professional publications. He has also written a chapter in a book on Hospital Taxation and has lectured at local and national programs. Ted has responsibility of overseeing the technical aspects of the Tax department and has client involvement and consulting in all areas of the practice. He has also been involved in IRS audits of projects with LIHTC and individual partners in those projects. 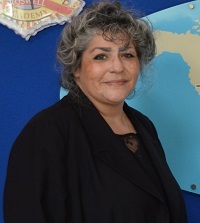 Ms. Hernandez is an enrolled member of the Seneca Nation of Indians from the Cattaraugus Reservation in Western New York and has been in law enforcement for approximately 30 years. Currently, Ms. Hernandez is a Forensic Examiner for the Federal Bureau of Investigation Laboratory Division in the Cryptanalysis and Racketeering Records Unit in Quantico, VA. She examines suspected gambling (bookmaking/gambling devices) records and conducts forensic examinations on documents to ascertain if they possess the necessary characteristics to determine if they are illicit gambling records. Ms. Hernandez was employed by the National Indian Gaming Commission, the New York State Racing and Wagering Board, Madison County Sheriff’s Department Jail and as a tribal police officer for the Seneca Nation of Indians. Ms. Hernandez is an Adjunct Professor in undergraduate Criminal Justice, Digital forensics and has adjunct graduate Public Policy studies. She is also a New York State Department of Criminal Justice Services, Bureau of Municipal Police Certified Instructor, New York State Commission of Corrections Certified Instructor and Certified Instructor for the FBI. Finally, Ms. Hernandez has also published two articles on Indian gaming and a publication regarding shredded document reconstruction. 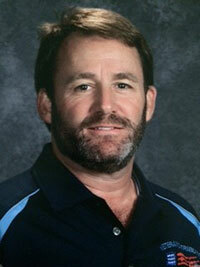 Mr. Katten graduated with a Bachelor of Science Degree in Psychology from Arizona State University. He went on to attend and graduate from the John Marshall Law School. While attending JMLS, Mr. Katten began a clerking internship for the Chief of the Felony Trial Division for the Cook County State’s Attorney’s Office. In 1988, Mr. Katten was admitted to Illinois State Bar. He began practicing law as an Assistant State’s Attorney in Lee County, IL, in the Criminal Division. Mr. Katten had an opportunity to transfer to the DuPage County State’s Attorney’s office and then to the Cook County State’s Attorney’s Office, Criminal Division. His assignments included, DUI, Gun, Domestic Violence, Drug, Retail Theft, Traffic, Jury Trial Courtrooms as well as an assignment to the Felony Review unit. After having spent 6 years as a prosecutor, he began practicing law as Criminal Defense Attorney. Mr. Katten spent 10 years working as a Criminal Defense Attorney, defending individuals accused of a range of crimes, focusing primarily on DUI defense. Mr. Katten was admitted to practice before the United States Supreme Court on May 15th, 1995. 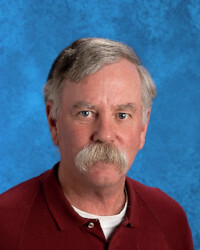 This year will be Mr. Kattens seventh year teaching Criminal Justice, Criminal Justice Advanced Studies, Pre Law / Mock Trial courses at Veterans Tribute CTA. Mr. Katten served on the committee that was responsible for the creation, development and implementation of the CTE Standards for the Criminal Justice Program of Study for the State Nevada. He also created the Criminal Justice Course Scope and Goals for the Clark County School District. Tim is a U.S. Army veteran with over 27 years in law enforcement and security. He has directly served three sitting U.S. presidents and served on protective details to foreign and U.S. dignitaries at the national security level. Tim has worked in the areas of national security, anti-terriorism, physical security, operational security, executive protection, and secure communications. Tim is a graduate of the Federal Law Enforcement Training Center (FLETC) located in Glynco Georgia. Additionally, Tim holds an Associate of Science degree from Central Texas College, a Bachelor’s in Business Management from National Louis University and a Master of Science in Organizational Security Management from Webster University. Tim holds several governmental certifications in areas of Operational Security from the National Security Agency (NSA) and Counter-Terrorism Analytics from the Defense Intelligence Agency (DIA). In addition to his governmental certifications, Tim holds a certification from the University of Maryland's School of Leadership in Creative Leadership. Tim is a true believer in his commitment to the community. He has worked to build a neighborhood watch program on the South Side of Atlanta. He was a guest speaker at The National Partnership's 2015 and 2016 conferences. He is also a frequent guest speaker at local area high schools in Georgia and Virginia. 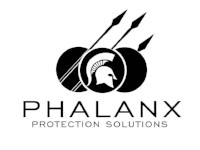 In 2015, Tim created and founded Phalanx Protection Solutions, LLC. Phalanx Protection Solutions is a consulting company that helps young people to better understand the career path to law enforcement and security. John received his Bachelor's degree in Philosophy from St. Francis College (now U. New England) in Biddeford, Maine. He also has two Master's degrees, one in Human Relations from Webster University and one in International Affairs and Strategic Studies from the Naval War College in Newport, Rhode Island. Professor Michaud served in the military and became a United States Marine Corps Lieutenant Colonel. He also was a Federal Agent with the Naval Criminal Investigative Service for 25 years and was assigned to numerous locations both in the United States and in Europe. One of his assignments while with NCIS was to form, train and lead the Special Protective Anti-Terrorism Teams (SPATS) in response to terrorist threats around the world. After leaving NCIS, he worked with the International Olympic Committee and was in charge of managing corporate security during the Olympic Games in Atlanta, Georgia. At the conclusion of the Games, he became a consultant to the Boston Police Academy. After a year in Boston, Professor Michaud returned to Maine and entered the world of business where he worked for MBNA, first as Vice President in the Personnel Division then as Vice President in the Telesales Division. After teaching as an Adjunct Professor at Andover College and Husson University he became a full time member of the Husson Faculty in the Fall of 2008 and was named Director of The School of Legal Studies in August of 2013. Karlye resides in Las Vegas, Nevada and has been a social studies educator for 20 years. She holds a BA in Criminal Justice from the University of Nevada, Reno, a M.Ed in Curriculum and Instruction from University of Nevada, Las Vegas, and an M.A. in American Government and History from Ashland University. 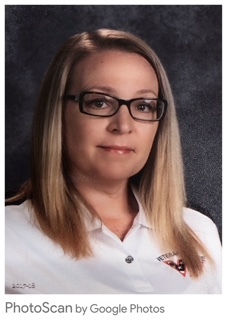 She is the recipient of the 2014 James Madison Fellowship and is currently working at Veterans Tribute Career and Technical Academy as a social studies teacher and Magnet Coordinator.